I hope you all watched the Oscars. Leo finally won! Yay! Now I could go into what I thought of the show, however, you all know we are here for the best dressed so we will skip my ideas. Lady Gaga in Brandon Maxwell. Did you happen to catch her performance? It was quite an incredible tribute to those who have been sexually assaulted. Lady Gaga has been killing it at these events lately, with the Super Bowl, the David Bowie tribute, and now the Oscars! Rachel McAdams in August Getty Atelier. This was my favorite look from the night. The dress speaks for its self! No shinny items needed, as the color is a gem all on its own. Margot Robbie in Tom Ford and The Row bag. I just love Margot Robbie. She knows what she can wear and always ends up making a best dressed list. Leonardo DiCaprio in Giorgio Armani. 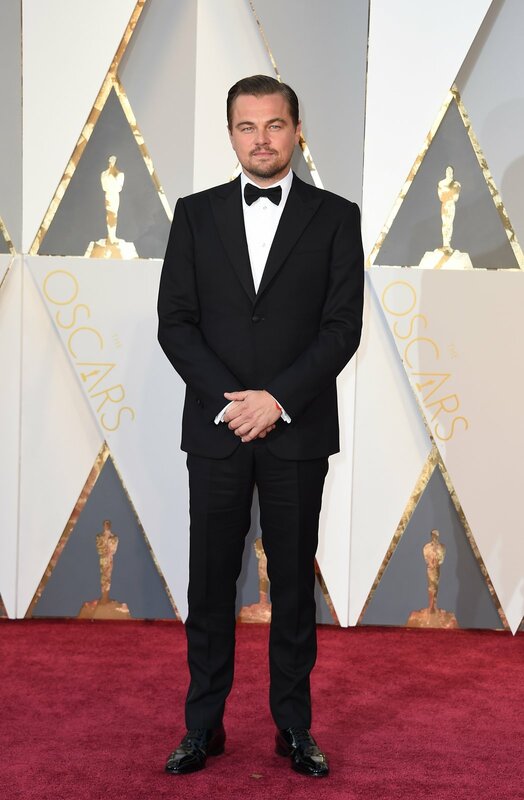 Look at Leo, just winning the red carpet and the award for Best Actor. No big deal. Great job everyone! Y’all looked great! Let me know who your favorite was. Have a great week.